Are Taxes Wiping You Out? R.J. Rushdoony: 00:01 Are taxes wiping you out? This is R.J. Rushdoony with a report on our threatened freedom. R.J. Rushdoony: 00:09 More than a few Americans are becoming irritated and angry over the high cost of local, county, state, and Federal government. Many of us, who do not favor the tax revolt, can still understand the anger that leads men to refuse to pay taxes and go to prison, in some cases. R.J. Rushdoony: 01:08 In one area after another, taxes are becoming consistory. In 75% of all debts, the family loses the house, farm, or business because of the inheritance tax. Very plainly, the Federal government is in the business of robbing widows and orphans. R.J. Rushdoony: 01:28 Very early, in our history, a U.S. Supreme Court Justice stated that, “The power to tax is the power to destroy.” This is precisely what taxation has become in our day. It makes very little difference which party, or administration, is in power. The cost of civil government and our taxes go up and up. R.J. Rushdoony: 02:27 Bernard Bailyn, in The Origin of American Politics, stated, “That the leaders of the American colonies believed that there was a deliberate design, or conspiracy, on the part of the British Crown to reduce or to blot out their liberties.” It was this conviction that led to the War of Independence. Men had come to distrust the normal political process and resorted to armed resistance. 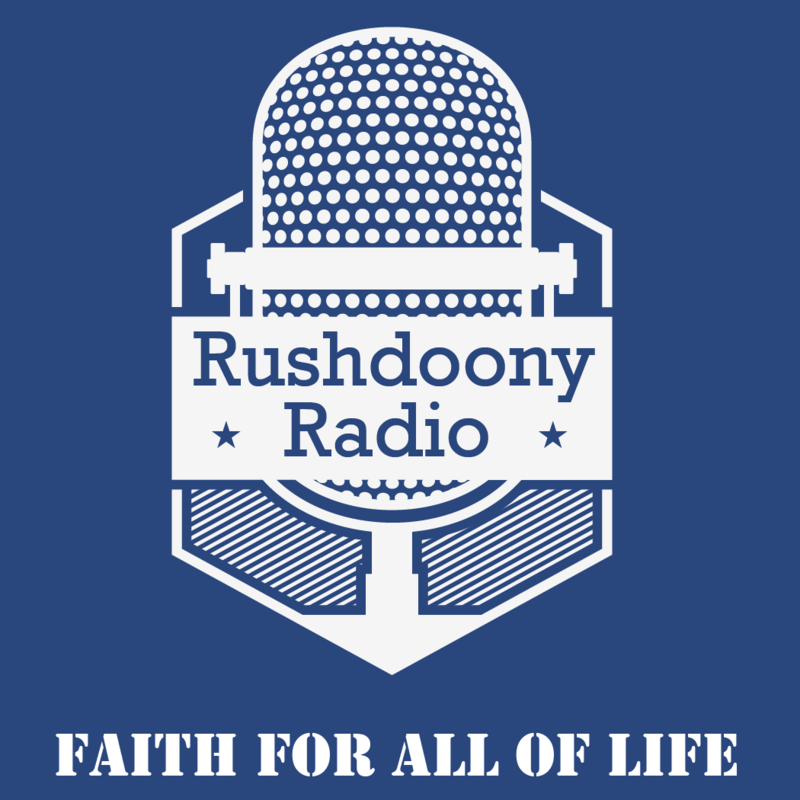 R.J. Rushdoony: 02:57 Today we have a similar cynicism about politics. Rightly or wrongly, millions of Americans believe that the modern state is interested in it’s own power, not in the people. People on the Right and the Left are at odds on many things but they are agreed in seeing the Federal and State governments as a kind of conspiracy against the people. High taxes and pork barrel Federal policies tend to confirm this popular opinion. R.J. Rushdoony: 03:28 If the Federal and State governments want to restore any degree of stability to the national scene, they must stop this tax barrel and the resulting destruction of the people. R.J. Rushdoony: 03:42 This has been R.J. Rushdoony with a report on our threatened freedom.